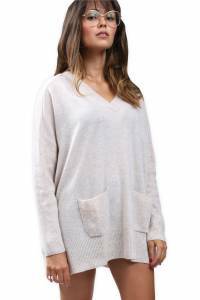 Oversized 100% cashmere sweater with two pockets on the front, deep V 21 Cm - Knitted with ribbed sleeves, pockets and cuffs. 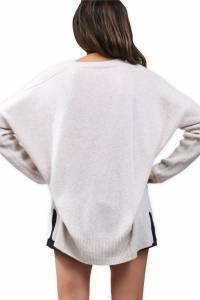 The wide casual sweater which we have all dreamed of. Can be worn with matching leggings.